Because of the increasing prevalence of prostate cancer (PC) together with the increasing use of androgen deprivation therapy (ADT), preventing or limiting the negative consequences of ADT on body composition, becomes very important. ADT leads to an increase in fat mass (especially abdominal fat) and a decrease in muscle mass. Loss of muscle mass may contribute to fatigue, weakness, decreased physical performance, a lower level of independent living and a lower health related quality of life (HRQoL). Moreover, the increase in abdominal fat may enhance the risk of cardiovascular disease, diabetes and some other comorbidities. A substantial number of studies in patients with PC undergoing ADT show positive effects of exercise training on muscle mass, muscle strength, fatigue, physical performance, and HRQoL. Studies investigating the additional effect of dietary interventions, only explored the effect of a healthy or energy-restricted diet on body weight and fat mass. Although studies in healthy subjects and in frail elderly people show favorable additional effects of protein supplementation in combination with training on lean body mass, muscle strength and physical performance compared to training alone, no studies have assessed the impact of protein supplementation with exercise training in cancer patients. The project investigates if a combined intervention of resistance type exercise training with or without protein supplementation is more effective to prevent or decrease the adverse effects of ADT on body composition in men with PC compared to resistance type exercise training with placebo supplementation or usual care. Primary study endpoints will be muscle mass, fat mass and body fat distribution. Secondary study endpoints will be muscle strength, physical performance, physical activity, level of independent living, nutritional intake, body weight, body height, HRQoL, fatigue, comorbidity and clinical laboratory tests. Measurements will be executed at baseline and at two moments after intervention. 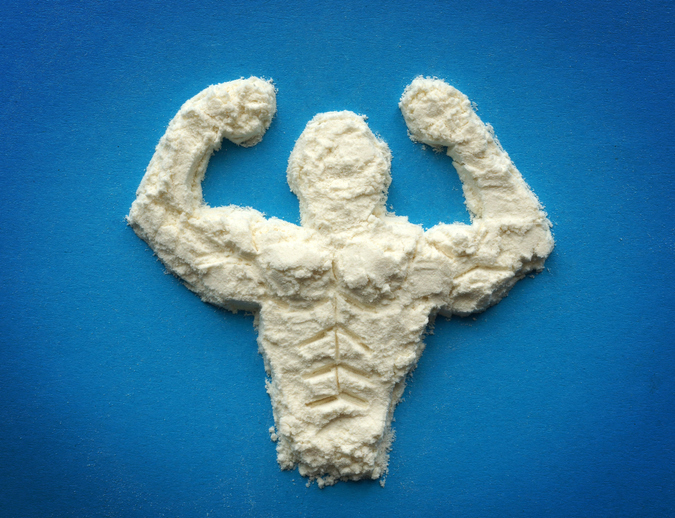 This project will bring together key players in the nutrition industry and research institutes to evaluate the impact of protein supplementation to augment the benefits of exercise training and, as such, to develop novel concepts for protein enriched products and protein supplements both for the clinical and the consumer market.